Ms. Wang's focus is international trade and investment law and policy in interaction with China. She currently serves as Research Assistant at The Chinese University of Hong Kong (CUHK) in the project "Toward a China-EU Investment Treaty" led by Professor Julien Chaisse and supported by the General Research Fund (GRF), Hong Kong SAR Research Grants Council, 2016-2018. In this capacity, Ms. Wang also covers trends and issues of FDI in Asia. 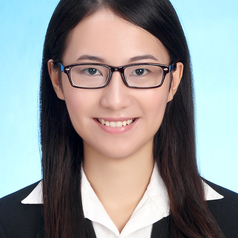 Before joining the CUHK in 2016, Ms. Wang worked at the International Law Institute (ILI) in Washington, DC, assisting in the development and delivery of training programs on U.S. Investment Policies for Chinese State-Owned Enterprises, International Investment Agreements, Investor-State Arbitration for foreign government officials and International Trade Law for the U.S. Foreign Service Institute.